Are you ready to hear life to the fullest and personalize your hearing experience? The newest hearing aid technology allows you to discreetly fine-tune your hearing aids to your unique taste using your smart device to give you the best listening experience wherever you go without any wires or accessories to wear. Stream any music or media played on your iPhone directly to your hearing aids. Discreet control of volume. 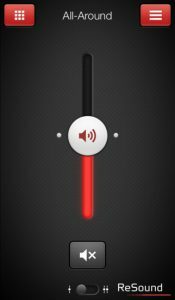 Adjust volume of your hearing aids right on your iPhone. 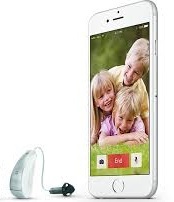 Direct streaming of phone calls from your iPhone to your hearing aids. No neck loops or wires. iPhone, Android, iPad, and Apple Watch compatible. Create favorite programs and have your hearing aids switch to them automatically in particular places, or activate them yourself where you are. Enhance your listening experience in challenging sound environments…all without touching your hearing aids. Download the free app. to have control of your settings in your hearing aids. Wireless streaming from your iPhone directly to your hearing aids. Track down hearing aids with the ‘Finder’ function, if you misplace your hearing aids. 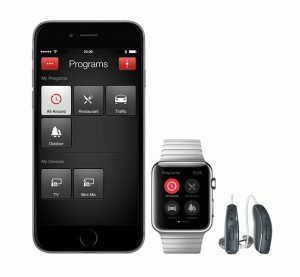 Information on the ReSound Link² iPhone hearing aid. Information on the Starkey Halo iPhone hearing aid.